A belated obituary of Marisol, who died 2 weeks ago. She was a Bohemian enigma, speaking rarely; described as the Latin Garbo. As a muse of Warhol, she appeared in two Andy Warhol movies – The Kiss and 13 Most Beautiful Girls, “the first girl artist with glamour”. But it was as an artist and sculptor in her own right, that she was the disputed “undisputed queen of pop art”, including by herself and Grace Glueck (New York Times, 1965) – not whether she was queen, but whether it was even Pop Art she was creating. Marisol abandoned her father’s family name Escobar to make a name in her own right, to “stand out from the crowd”. A Venezuelan, born in Paris, made famous in New York, who was inspired by pre-Colombian art, she was international in her influences. 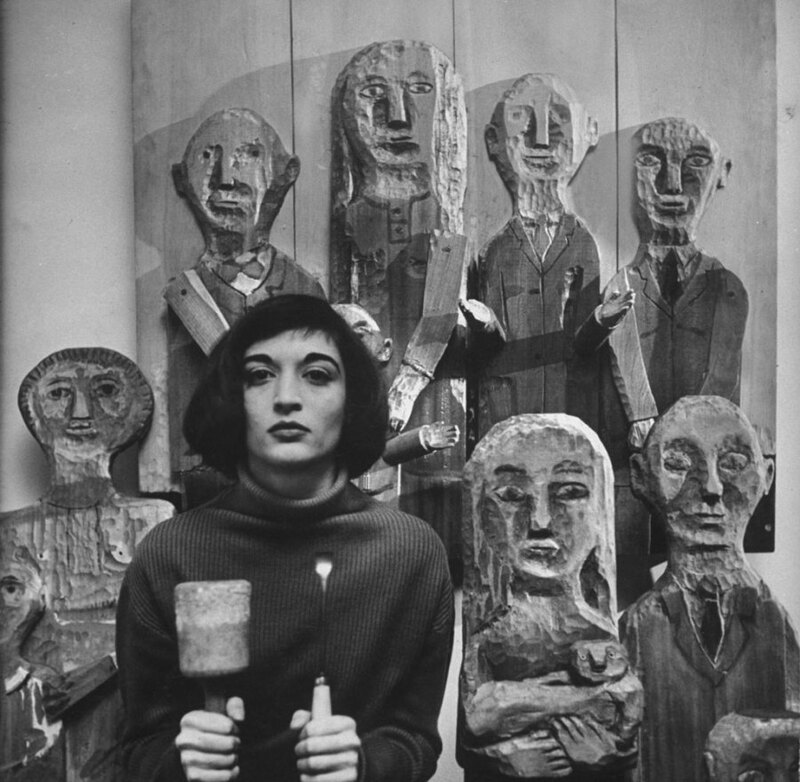 Whilst she started out in painting, in the 1950s she shifted to sculpture, becoming well known only in the 1960s after 5 years travel abroad, despite a well-received first exhibition in 1958. 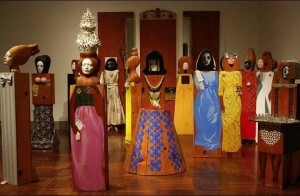 One such art work, which might be described as a mixed media sculpture or installation was the ‘The (Cocktail) Party’, consisting of 15 freestanding figures and ‘accessories’ carved, cast, collaged, photographed and printed. 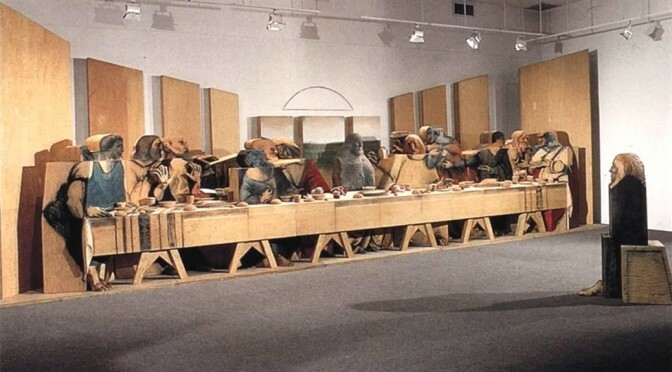 Created during 1965-1966, it sold 40 years later for nearly a million dollars, double its estimate, at Sotheby’s, New York. 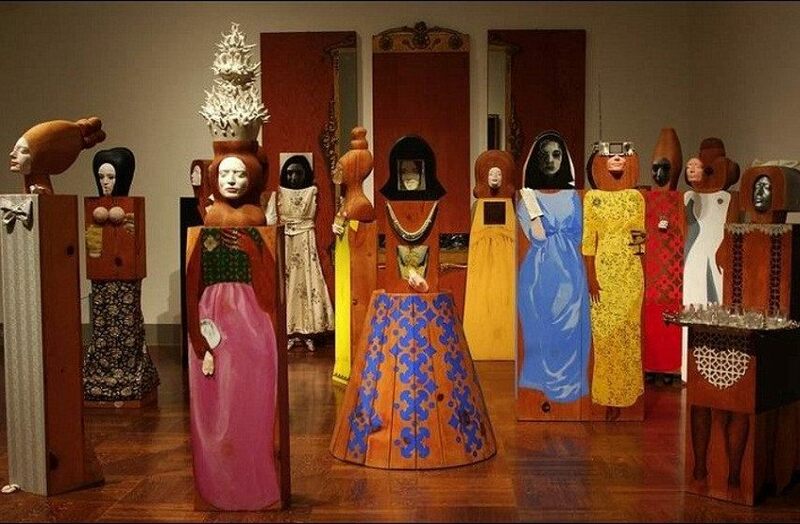 The work, like many of hers, bore her face on each figure. Curious for someone whose background personal angst, since her mother’s suicide when she was aged 11, led to a lot of self-analysis and self-enforced silence. Her creations instead were her voice, her image, her projection into, and of, the world, giving it depth, “form and weight”. She regularly used humour and “social satire” in her work poking satirical fun at the possessions and personalities of her subjects, or the strict parameters of the art world’s curators and critics. Her subjects included migrants and street children, but also those she admired. 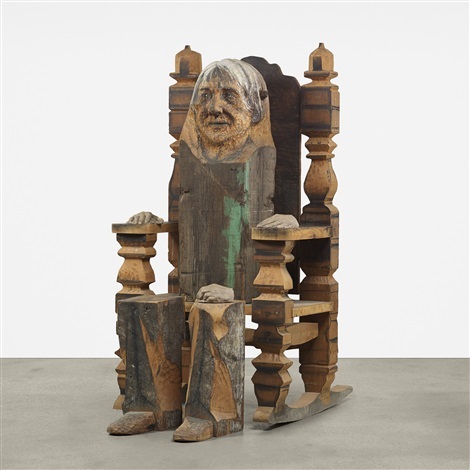 Willem de Kooning became a friend, brief lover, and ended up in an oak and ash wooden sculpted ‘portrait‘ himself. Other artists and personalities also ended up as portraits – Pablo Picasso, Georgia O’Keefe, Hugh Heffner, John Wayne, the Kennedys, and others. 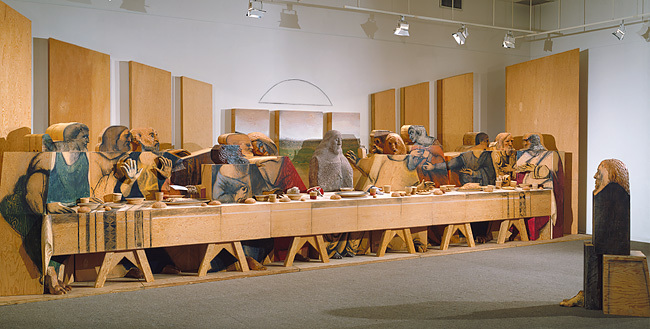 It is her own face, nonetheless, that so often appears in works, even in an homage to Leonardo da Vinci, in an installation that includes herself viewing a three-dimensional carved Last Supper.